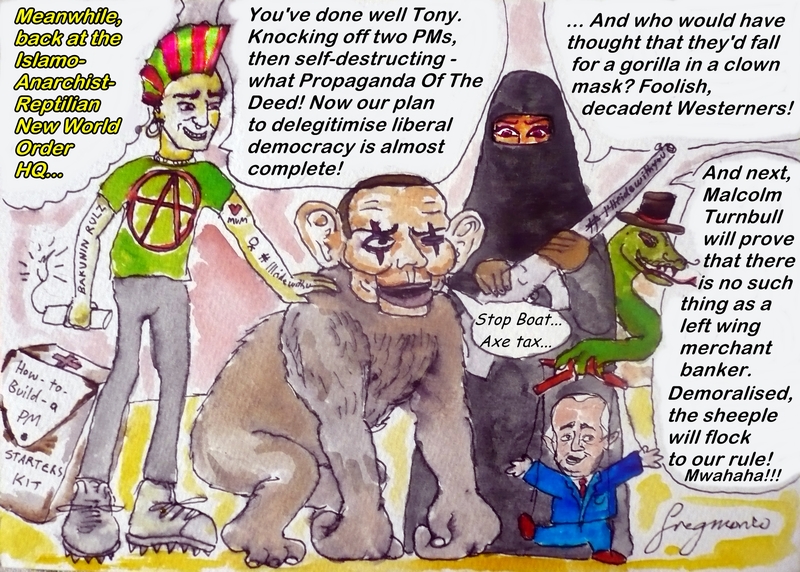 Tags: Anarchist Subterfuge, ISIS, Malcolm Turnbull, Reptilians, Tony Abbott. Bookmark the permalink. Previous post ← Gough’s Gone, The World’s Ending: Let’s Get On With It.